Samsung has launched Samsung Knox 2.0, the second generation of its enterprise orientated security software. 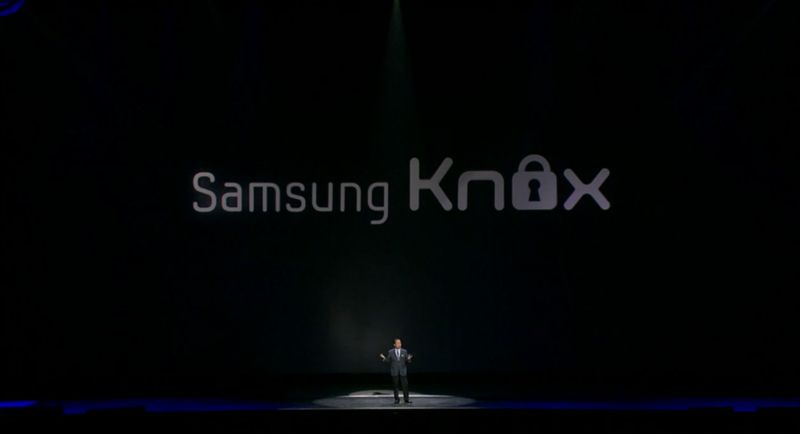 Samsung has sold over 25 million devices running Knox, with more than one million active users on the platform. Samsung also revealed this week that it sees 210,000 Knox-enabled devices each month, translating to an average of approximately 7,000 devices each day. Thus, with a new slew of Galaxy mobile devices on the way, so to is the next version of Knox. One of the greatest updates to arrive on KNOX 2.0 is how it handles Android apps. In its first version Samsung focussed on individual work and personal “containers” and needed to have separate apps in each, but now they’ve improved the wrapping process by removing the need for dedicated environments and this reportedly works with “most of Android apps.” In addition, Samsung will launch a dedicated Knox marketplace that desires to be a one stop shop for SMBs to find and buy enterprise-related apps. Knox 2.0 will also take advantage of the Galaxy S5’s new fingerprint scanner embedded in the home button, just as Apple did with the Touch ID sensor in the iPhone 5S. KNOX 2.0 will be come pre-installed on the Galaxy S5 and those with KNOX 1.0 will be able score 2.0 after upgrading to KitKat.